Maude Magali David and Christine Tataru work in a neat and clean office. 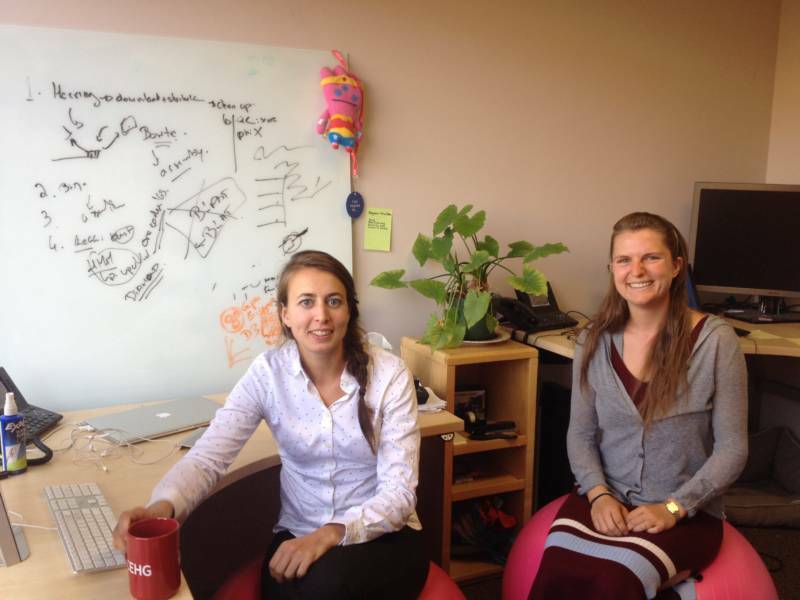 Sitting on bright pink exercise balls, the research duo analyzes data, occasionally standing to write on a whiteboard. The tidy setting belies the nature of the less-than-sanitary subject of their work.